The ocean garden arrangement was inspired by a customer who wanted us to incorporate seashells into the arrangement. The result was this cylinder vase filled with hydrangea roses lisianthus queen anne's lace and stock with seashells placed inside the vase and within the arrangement. 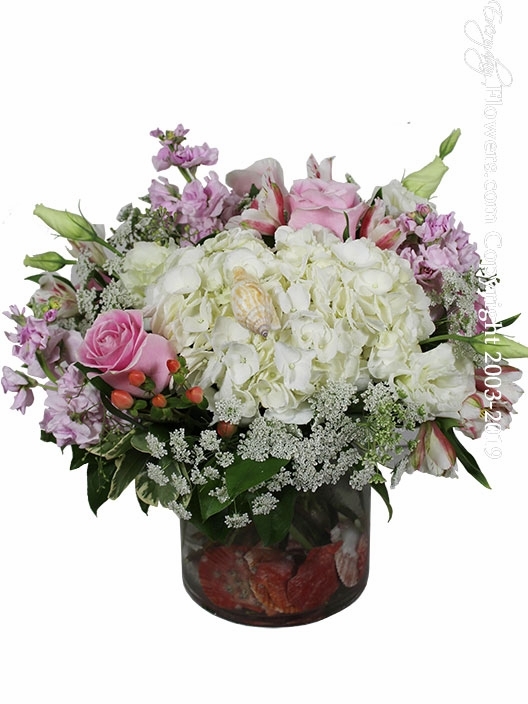 Available exclusively by Everyday Flowers for delivery in the Orange County California area.